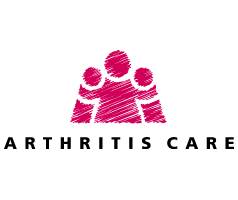 Arthritis Care is a voluntary organisation working with and for people with arthritis. We aim to empower people to take control of their arthritis and their lives. Arthritis Care provide information, training and support to help people take control of their health and their lives. At the same time they campaign for raised awareness about arthritis, and for better services for people affected. Advice & support for patients suffering with Rheumatology diseases.